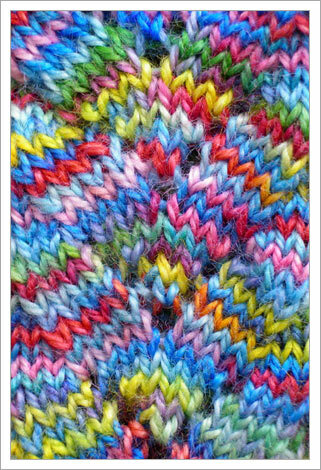 Knitting Sutra: Pattern: ¡Los Monos Locos! – The Crazy Monkeys! A toe-up, sock pattern adapted from Cookie A.’s Monkey Socks (Knitty.com, Winter 2006). What’s Different About Los Monos Locos Socks? Los Monos Locos BETA v.01 (1.3mb PDF) -- See version notes below. The "no pick-up gusset" can be a little tricky to adjust because stitch and row count are very important. 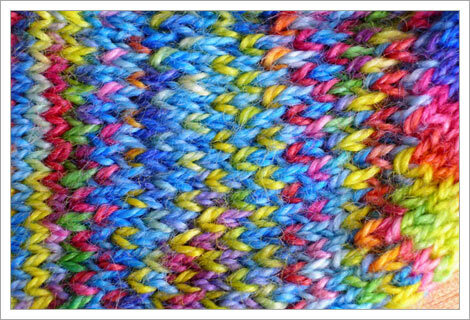 I am working on a "no pick-up gusset" tutorial, which I'll post very shortly. I promise. It's written. I just need to edit it and add stitch charts. If you're interested in this heel, you'll thank me later for the charts. 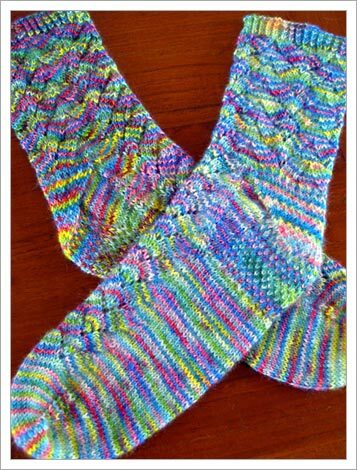 My interest in knitting Monkey socks was peaked when I saw fiberjinx’s pattern modifications. With just a few simple changes, Cookie A.’s monkey pattern takes on a life of its own. One major difference is working the heel toe-up. I incorporated the fabulous “no pick-up gusset” method found at Lara B’s Toes and Heels Web site. Lara B’s pattern uses the Eye of Partridge stitch on the heel flap, which I think goes really well with the Monkey lace pattern. So, that’s there too. I originally knit these socks for Socktopia’s May 2007 theme, “Fiesta, “ hence the Spanish name. I do not consider this my pattern, and I will not profit from publishing these modifications. I think of this as more of a blueprint on how to make great top-down sock patterns work toe-up. You can plug in just about any stitch pattern using this blueprint. I offer this to you because I spent countless hours researching the different ways to knit these socks. Because the online knitting community has been invaluable to my knitting, I share these fruits of my labor as a way of giving back to that community. You may redistribute this pattern if you like, but please link to this page (not the PDF file), so that credit is given where credit is due. ¡Viva monos locos! This pattern is in BETA, meaning that it’s still being tested and may contain errors. I relish feedback, especially if you find bugs. To report bugs or send pleas for help, leave a comment on this page.